I was also too hungry to decorate the plate and hence the fish remains in spotlight in the pic. Very easy recipe and tastes yummy and spicy. 1. Mix a pinch of Turmeric, 1/2 tsp chilli powder (you can add more depending on taste), 1/2 tsp ginger garlic paste, 1/2 tsp chopped coriander powder, salt, 4-5 curry leaves roughly chopped, 2-3 sprigs of coriander leaves roughly chopped,1 tsp lemon juice, 1 tsp oil in a bowl. Coat around 6 fish pieces evenly with this marinade. You can leave the fish in the marinade for an hour. 2. 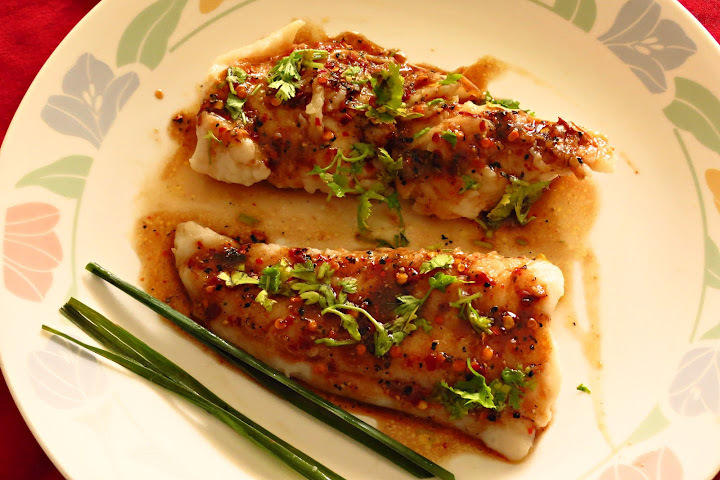 Roll the fish in a little Maida (All purpose flour) to hold the marinade together and then Pan fry on a low flame in a tawa. You need not add more oil as the marinade itself has oil. 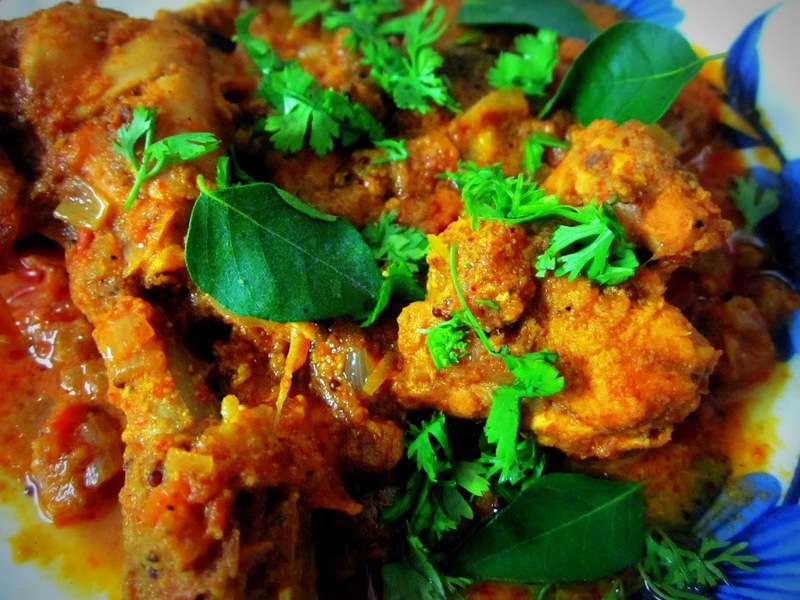 I used Rohu fish here but you can try this recipe with any fish and it will taste good. 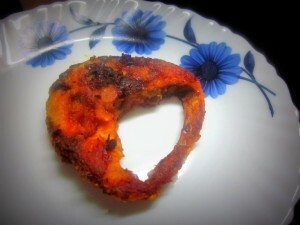 Looking Spicy and it mostly preferred among the Andhra Recipes, Thank for giving out this crunchy recipe.